Ruth and I saw a beautiful stag deer walking down the main trail. It walked right past the "Ooops ... you're going the wrong way" sign. We'll forgive it ... this time. 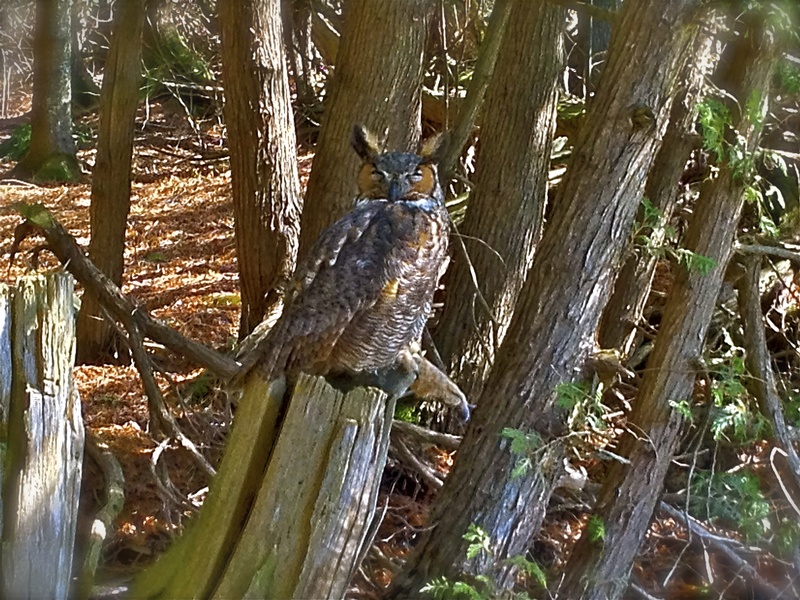 A rather regal Great Horned Owl seen March 2012, and not since!